Jim Golick has consistently held the highest customer satisfaction ratings for sales and service in the state.Third generation Golick's manage the facility where customers can find an atmosphere of honesty and integrity in an old fashioned setting. Return to the days when your dealer knew you by name and personally handled your sales and service transactions himself. You'll find this at Golick Motor Company, the dealer who sets the benchmark for low prices on sales and service! Ed has been a sales consultant at Golick Motors for over 15 years. 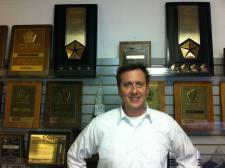 He has attained many Chrysler Sales Certifications over the years while working at Golick. Ed has an extensive background in the car business that spans over 30 years. He will help you find the vehicle that best suits your needs. Carol joined Golick Motor Company in 2015 and is here to help you find the right vehicle to best suit your needs. We are glad to have her as part of our team. 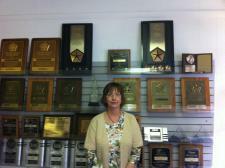 Susan has been the Business/Office Manager at Golick Motors for over 35 years. She has developed close relationships with many of our longtime customers during that time. Susan invites you to meet with one of our professional sales representatives to look at what we have to offer. Our Service and Parts Departments are critical to our success. We take pride in going the extra mile for our customers. In fact we are rated #1 in customer satisfaction for sales and service in Pennsylvania for over 20 years according to Chrysler's rating index. 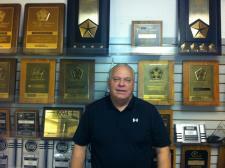 Mike is a 3rd generation Golick and has worked at the dealership for over 30 years. He knows that getting a repair can be frustrating, and will try to work around your schedule and service your car quickly and correctly the first time. 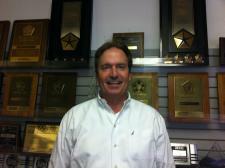 Stan has been with the Golick team for over 15 years. He has achieved a number of Certifications in automotive repair and is our lead technician here at the dealership. Stan looks forward to servicing your vehicle and will get the job done right the first time. David has been with us for over 5 years and has a variety of experience repairing and servicing automobiles and trucks for many years. He is from the Apollo area and his family have purchased many vehicles at Golick over the years. We are pleased to have him as part of our family. Isaiah has been with our team for over 3 years now. He has an extensive background in the car business and has worked for many years as a Ford certified technician. We are very thankful to have him as part of the Golick family. John has been a dedicated employee at Golick for over 29 years. He will go the extra mile to make sure you are satisfied with your experience here at our dealership.